At GATL, we work to cater to the varied seed needs of the farmers by providing better seeds to them. We do this by collaborating with different suppliers & companies having a world-class breeding program, good market reputation that aims to keep finding the best products adapted to local conditions. 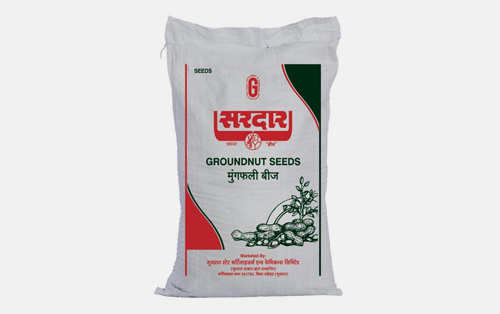 GATL offers seeds of high yielding, disease and pest resistant public bred and research hybrids/varieties of various crops under ‘Sardar’ brand & co-marketers brand. The focus is to provide best quality at reasonable prices to farmers through different marketing channels. Castor, BT Cotton, Bajra, Paddy, Groundnut, Soybean, Tur, Mustard, Wheat, Cumin etc. Packing : The seeds are available in standard packing size for various crops to sow 1 acre land as specified under seed Act, 1966. Various outreach programs are also done at farmer level to create awareness about the seed package of practice & result showcasing. In future GATL also plans to tie up with SAUs, govt. organizations to take up seed production of their best germplasm and provide the same to farmers at reasonable cost. We are also looking forward for sourcing best class hybrid seeds from reputed companies for farmers benefit. We are honoured that thousands of farmers and their families trust us and buy our products.